A compelling story of young love and old secrets. Lauren Sheehan's career in medicine came to a halt after a chain of violent events abroad. Now she's back in the safest place she knows - St. Helens, Wisconsin - cut off from career, friendship, and romance. Ben Hanson's aimless young life has bottomed out after a series of bad decisions, but a surprising offer from his father draws him home for what looks like his final second chance. In Wisconsin, he finds his family fractured, still unable to face the truth behind his troubled cousin's death a decade earlier. As Lauren cautiously expands her horizons and Ben wrestles with his regrets and mistakes, their paths intersect. Could each be exactly what the other needs? Or the last thing in the world either one can handle? The weight of secrets, the price of success, and the cost of love all linger at the heart of this surprising, unsettling, deeply satisfying novel. Rich with the dark humor and piercing intelligence that made The Cradle so beloved, This Bright River confirms Somerville's status as one of the most engaging and daring young writers at work today. Would you listen to This Bright River again? Why? I'd definitely listen again. Puzzles and logic problems are a recurrent theme. Ben is trying to solve a mystery from the past and I think it would be very rewarding to experience the book a second time, knowing the conclusion, and pick up on important details I paid little attention to the first time. 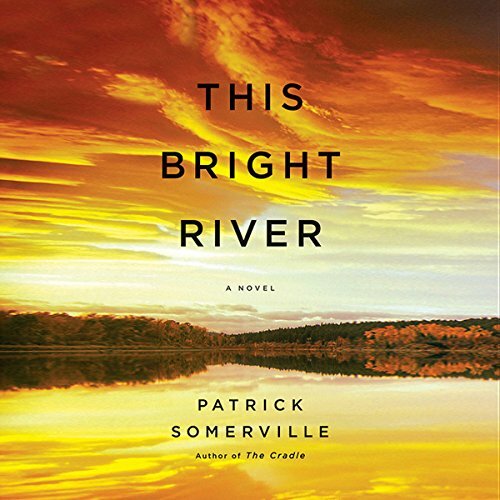 What other book might you compare This Bright River to and why? I don't think I've read anything else that quite fits into the space This Bright River occupies: an overlap between literary fiction (with complex characters and attention to writing at the sentence level) and detective story (with a page-turning plot and heart-pounding climax). For a book that explores the nature and definition of evil, I was surprised how many times I found myself stifling a laugh while I walked with my headphones in. I'd recommend this to anyone looking for a good read, and in particular to anyone interested in: video games, small town midwestern life, intellectual debates on human nature, recovery (substance abuse), or family drama. Oh, and people taking trips. I think this would make great airplane reading. The opening scene of the book doesn’t seem connected to the rest of the book other than the locale until close to the conclusion. Ben has burned through his parental endowment money, got himself into trouble, and managed to be a major contributor to new game software because of his gift for creating puzzles. His life puzzle is to solve the mystery of his cousin’s death in the frozen Michigan peninsula several winters ago. On the way to stumbling onto the solution to that puzzle he pursues an old high school friend who had a crush on him. She’s got her own puzzling background complete with off kilter ex-husband on the prowl. Somerville provide some good character building background and got me invested in each of the people involved, even Will (the ex-husband) as he descends into madness. The story is intricate but easy enough to follow. The puzzle’s solution is complex and satisfying. Just when you think the book is wrapping up another layer is revealed.